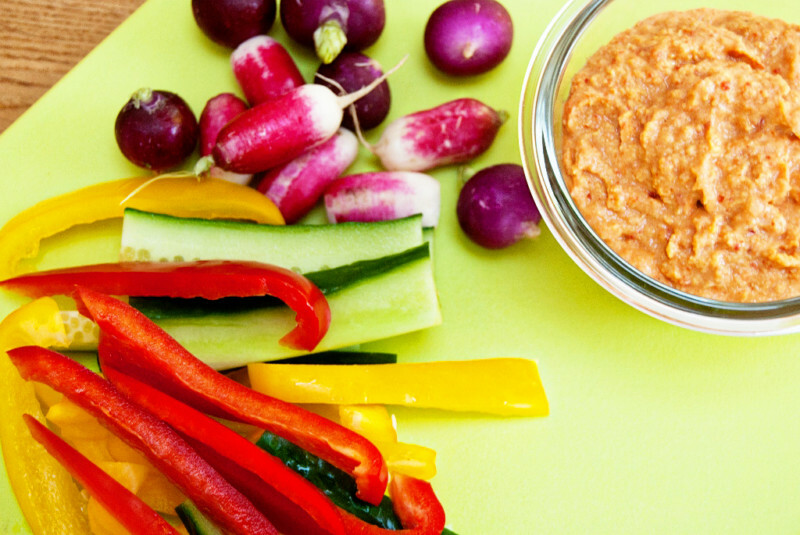 So simple to make and perfect for a healthy lunch or snack. Roast the peppers . When they are cool enough to handle, peel off the skins, remove the core and seeds and cut into strips. Set aside. Drain the chickpeas into a colander and rinse under the tap. Peel and crush the garlic. Squeeze the lemon. Blitz the chickpeas to a coarse paste in a liquidiser or with a stick blender. Add the crushed garlic, lemon juice, tahini paste, oil, a little sea salt and the peppers. Blitz again until you have a smooth consistency.